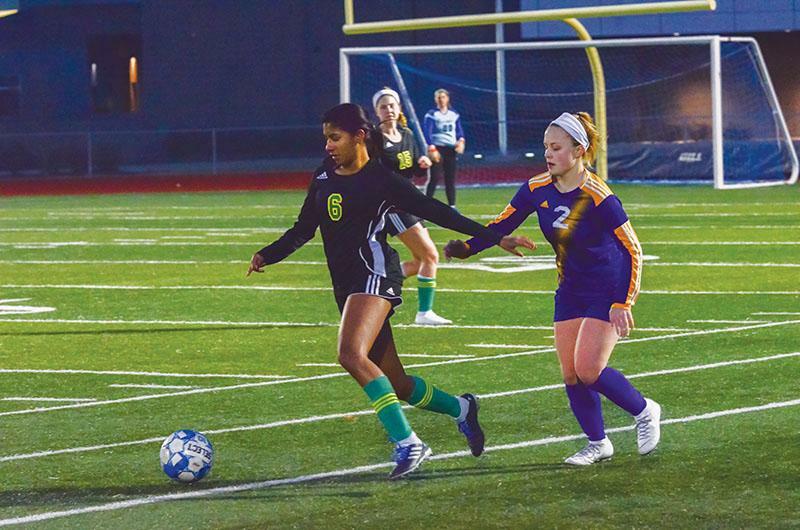 The girls’ soccer team played against the Spartans, Saturday April 13, on the Battle High School field. The Bruins were able to defeat their opponent (6-3), which improved their season to [6-4]. At halftime, the team’s score was tied with Battle (3-3), and had to step it up in the final half to pull forward in the score. Junior defender Sydney Klimek said the Bruins played their best after halftime. While the Bruins were able to score three more goals in the second half, Frey said it was surprising to the team that they had allowed the Spartans to shoot three goals in the first part of the game. On Monday, April 15, the team will take on Quincy High School on a home advantage. After Saturday’s game, Klimek said communication on the field needs to be improved for upcoming games.